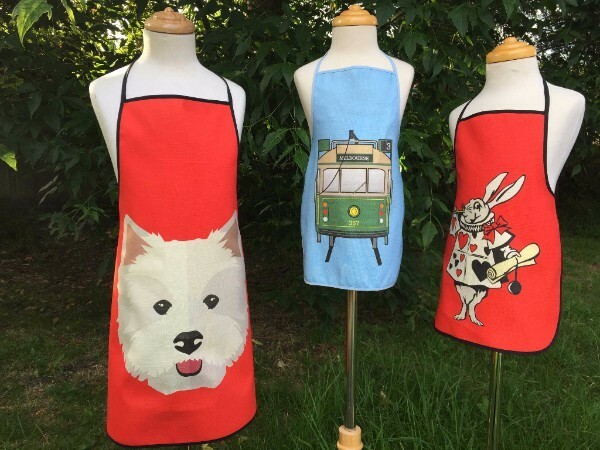 These are beautiful handmade designer aprons that are extremely practical and look great. Tying up around the neck and waist, these retro inspired aprons are adjustable and easy to clean. These aprons keep you and the kids clean in the kitchen while looking super cute. Dress yourself in a vintage inspired hostess apron and wow your guests with your cooking and your excellent sense of style. Made from a variety of quality fabrics, these aprons have all been tested for durability and are designed and made in Australia.